At Brown’s Heating and Cooling, we put our customers first. Since Robert and Sherri Brown founded this company in 1996, we have steadily grown due to our loyal customers and excellent products and service. We have been offering customized Colorado Springs heating and cooling solutions designed to fit your budget and lifestyle for nearly two decades and are ready to assist you. Brown’s Heating & Cooling is a member of BBB, ACCA, PPMCA, Comfort Institute, and HBA, and carries all applicable licenses and insurance. If you're looking for a new system installation or routine maintenance solutions for cooling and heating in Colorado Springs, Brown’s is ready to serve you. 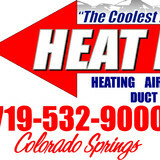 Robbins Heating & Air Conditioning provides Colorado Springs and the surrounding areas with exceptional HVAC services. We have been providing our customers with heating and air conditioning services since 1970. For a HVAC contractor you can trust, count on Robbins Heating & Air Conditioning. Welcome to BullsEye Plumbing Heating & Air, your locally owned 1 stop shop for property management, and home maintenance. We offer a wide list of system upgrades, installations, repairs, replacements and service work for residential and light commercial clients including but not limited to; HVAC, plumbing, utilities, excavation, sewer drain cleaning, high pressure water jetting and power washing, water heaters, humidifiers, furnace and boiler maintenance, utilities excavation, duct cleaning, furnace or A/C inspection and cleaning, gas lines, sewer video inspections and locating, water or sewer line repairs and replacements, air quality filters, total air comfort systems, carbon monoxide testing, air pressure testing, system efficiency testing and tune up, winterizing or de-winterizations, hydronic heating, sprinkler stub outs, and round the clock customer service. We are proud to carry an A+ rating with the BBB, be an Angie's List honor roll recipient, carry a 5 star Google+ rating, and to have been voted by the US Chambers of Commerce for Best Plumber of Colorado Springs multiple times. We have an ASL speaker available, and Si Habla Espanol! Is your life busy? Do you dread facing the kitchen night after night, not knowing what to make or prepare for dinner? With all the commitments of family life and work life and tons of other responsibilities tugging you in a million different directions, let’s face it, getting dinner on the table seems like one more chore you don't want to deal with. You are not alone. That’s where Fresh Taste comes in to save the week. We know how important it is to have family time. Let us take the added stress away. If you are located in the area of Avondale, CO and would like an HVAC specialist to come to your rescue with the most efficient and affordable heating services offered in this area, Chinook Heating LLC is the perfect HVAC specialist for you. When it comes to heating services, it is important to the well-being of your HVAC systems that you work with a specialist who is highly experienced and knowledgeable in multiple areas of this industry. Hiring an HVAC team who know exactly what they’re doing and can diagnose any problem and solve it is exactly what you’re paying for, so don’t waste your time and money on someone with any less experience and efficiency than Chinook Heating LLC. 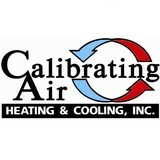 Over the years, Chinook Heating LLC has created a great reputation in this area for our reliability and affordability. Our main goal is not to try to get as much money from you as possible by doing the least amount of work, but instead to put all of the time and effort into the project necessary to prevent any other damage or any other repairs to come in the future. We want to make sure that your heating system is running smoothly and doing its job the way that it should. Chinook Heating LLC will do the job right, on time, and within budget. Please feel free to give us a call or send us an email if you have any questions about our heating services and our availability. Generally, Fountain HVAC contractors or HVAC technicians work with or run companies that repair or install heating systems and air conditioning units for homes. But they have specialized services too. For example, if you are a wine collector and you are thinking of installing a wine cellar in your Fountain, CO home, you might hire a Colorado HVAC professional who specializes in refrigeration work. HVAC professionals can use their skills to help you to save money on your Fountain, CO home’s energy bills by installing radiant barriers in your attic or split-zone heating and cooling systems to heat rooms like solariums while cooling upstairs bedrooms during warmer temperatures. Find HVAC contractors on Houzz. Look in the Professionals section of our website and search for Colorado HVAC contractors. Read reviews and see how an HVAC contractor might approach your Fountain, CO home’s heating and cooling challenges.